Who the f*ck is my #DND character? is an amusing website created by London, England-based Ryan J. 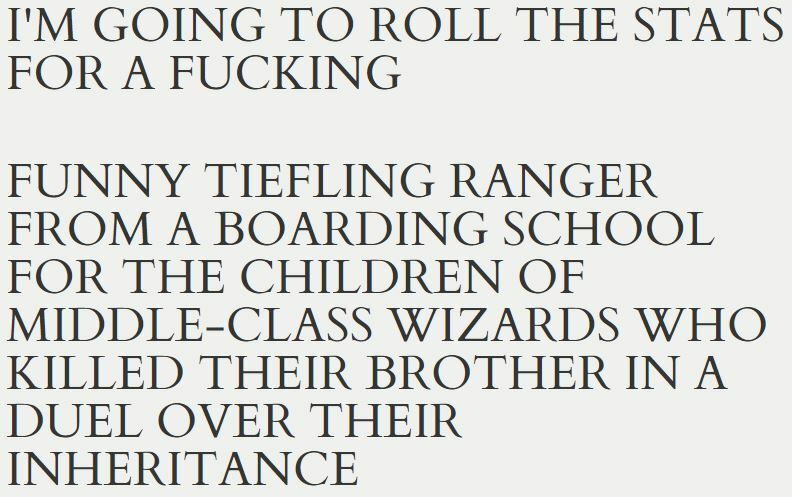 Grant that randomly generates colorful Dungeons & Dragons character backgrounds. According to Grant, there are currently “409,415,040 characters to roll on.” His creation was inspired by the similar website What The F*ck Should I Make For Dinner?